Mobile music licensing involves primarily the two separate copyrights of the underlying composition (the song) and the actual sounds embedded on the recording (the sound recording) as well as the various rights which flow from those copyrights with the two primary ones being the reproduction / mechanical right and the communication / performance right. Synchronization rights also come into play when dealing with audio visual works (movies, television series, etc.) with display rights relevant when, for instance, lyrics are projected on the screens of mobile devices. As mobile devices are used throughout the world for the downloading and streaming of music, reference must also be made to the copyright statutes, decisions and practices of foreign territories. The scope of rights involved in each of these separate copyrights are primarily the jurisdiction of national legislatures with the meaning and scope of these rights normally handled by each countries judiciary-whether it be courts, tribunals, copyright boards or other designated bodies. Negotiated voluntary agreements between the users of music (websites, broadcast television, cable, radio, satellite, etc.) and large organizations organized to negotiate and collect for multiple copyright owners (performing right organizations, mechanical right organizations, etc.) or individual copyright owners themselves play a major role in deciding what the license fees should be as well as what the scope of the license is in any media. In situations where voluntary agreements cannot be reached by the parties, federal rate courts (e.g. ASCAP and BMI in the U.S.), Copyright Tribunals (e.g. PRS for Music-MCPS/PRS in the U.K., APRA/AMCOS in Australia and New Zealand) or Copyright Boards (SOCAN, CMRRA and SODRAC in Canada, music publishers, record labels, websites, etc. in the United States) decide the issues and determine rates. 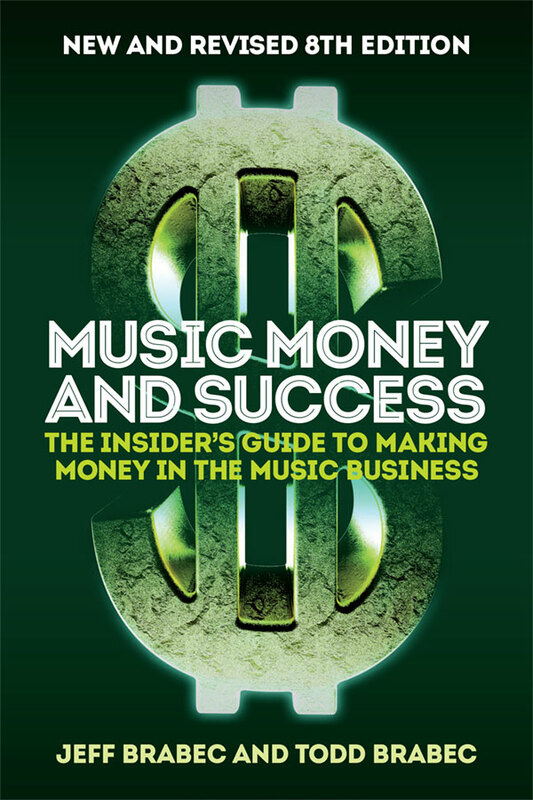 In the world of the song/composition performance right in the United States (ASCAP, BMI and SESAC), negotiated industry agreements have been the norm with federal rate court alternatives (mandated by Consent Decrees with the government) coming into play only when ASCAP or BMI could not come to an agreement with a music user as to "what a reasonable license fee should be". This rate court option has been in effect since 1950 with ASCAP and was adopted by BMI in 1994's and represents a primary way to resolve disputes and set collective licensing rates when the parties cannot reach an agreement. SESAC, the smallest of the 3 U.S. performance right licensing organizations, does not have a rate court alternative, a matter which is the subject of current Sherman Act litigation between local television broadcasters and SESAC. In the online world of music licensing, the ASCAP rate court (Southern District Court in New York) has been instrumental in deciding what the license fees should be in the online world as well as what is actually licensable by collective licensing organizations. In recent interim and final decisions involving music use by AOL, Yahoo, Real Networks, AT&T, YouTube, Verizon and others, a percentage of revenue formula has been applied taking into account, among other factors, the amount of time music is performed versus the amount of total time spent on the site for all reasons- a business unit's revenue adjusted by a music use factor multiplied by a court set percentage figure. Though there is no final agreement yet as many of these cases and orders are currently under appeal, there is being established a direction for the collective licensing of online music involving the performance right. An important issue in the ASCAP rate court cases involving mobile devices was whether a retail wireless communications company required a public performance license for musical compositions because it provides ringtones to its customers (In Re Application of Cellco Partnerships, D/B/A Verizon Wireless) and whether the downloading of a digital file embodying a song constituted a public performance within the meaning of the U.S. Copyright Act (17 USC Section 101) (In The Matter of the Application of AOL, Real Networks and Yahoo for the Determination of Reasonable License Fees). Though the reasoning for the two separate decisions was somewhat different, both decisions by two separate southern district federal judges ruled against the existence of performance right in each situation. There was some language in the AOL decision which left open the possibility of a performance right in certain situations but currently, subject to ASCAP’s appeal of this aspect of the decision, the current state of affairs in the U.S. basically denies a performance right in a download. The court did recognize the fact that a mechanical right is involved in a download of a song and in a ringtone and referred to the Copyright Royalty Board 24¢ ringtone and 9.1¢ song download writer / publisher rate as appropriate compensation for these type of uses. These decisions did not deal with the issue of ringbacks as there is no download involved – the amount of ringback public performance compensation and value though do remain as part of these ongoing cases. Further, it also seems that the issue of whether previews of ringtones are public performances is settled in the affirmative with “Fair Use” arguments not valid. The ramifications of the “no performance right in a download” ruling in these rate court licensing cases go far beyond U.S. borders as practically every other major country of the world recognizes a performance right in a download which puts U.S. court decisions 100% contrary to the laws of other country jurisdictions. Outside the U.S., many of the licensing / collection societies of the major countries of the world issue joint or combined licenses to the users of music which combine multiple rights in a single license for a negotiated or tribunal set fee. An approach which usually negates any argument as to whether a particular type of music use involves a performance, a mechanical / download right, or both – a very contentious issue in the ASCAP / Verizon and ASCAP / AOL cases. For example, PRS for Music in the U.K. which handles both the performance right and the mechanical right issues a joint license to users, the fees of which were the result of a 2007 Copyright Tribunal hearing and decision under the Copyright Designs and Patent Act of 1988 involving the British Phono Industry, Yahoo, AOL and others and MCPS / PRS and the British Academy of Composers and Songwriters. The resulting decision created percentage of revenue license fees including minimums for downloads, interactive webcasting, non-interactive webcasting and on demand streaming among other categories. These rates were recently revised with fees ranging from 10.5% of specific revenues to 5.75% with minimums. In the case of ringtones, the fee for the combined performance and mechanical license is 12% of the revenue of the service for realtones and 15% for all other types with minimums. In Canada, the Copyright Board of Canada ruled that the total value of the bundle of rights for permanent downloads, limited downloads and on demand streaming was 12.2% of the price paid by consumers and /or subscribers. This bundle included the Communication Right and the Reproduction Right analogous to the performance and mechanical right in the U.S. The separate rights split the 12.2% depending on the specific type of use (download, stream, etc.). In Canada, SOCAN collects and distributes the Communication right with CMRRA and SODRAC responsible for the Reproduction right. On the record side, U.S. Copyright Board decisions have been of help in determining the online value of sound recordings. The website decisions alone have established industry wide fees and rates for non-interactive websites as well as a compulsory license in the field. Rates are either per song/per listener or a percentage of revenue or a percentage of expenses coupled with minimums. There is also an authorized collection and administration entity in SoundExchange to handle this area. On the interactive side, individual negotiations prevail as sites must negotiate with the sound recording copyright owner as to what the fees should be. Some examples of the progress in this area are deals involving a percentage of gross revenue from subscribers and advertisers or a percentage of a net figure (gross minus certain expenses) with the resulting figure shared by the label with artists either on a contract royalty percentage basis or a 50/50 split. Payments to the labels are based on their pro-rata share of activity on each site or by each licensed entity. Pursuant to the terms of such a license, the producer is able to distribute the program via any television medium without having to resecure permission from the music publisher. In most of those licenses the producer has the right to extend rights to home video via an option for an additional fee. All television and home video combined license without any option language. Includes, television, home video, the Internet, mobile phone use, and any other media over which television shows can be distributed. Such licenses include all TV transmissions such as free, pay, cable, satellite, subscription, hotel/motel to any type of monitor or receiver; all digital or broadband transmissions including streaming and downloading rights; all audiovisual devices (linear formats) such as DVDs, cassettes and other digital media; all other non-theatrical uses (including common carriers); and “in context” trailers, ads or promotions. Non-Theatrical/Common Carriers & In-Context Promos in All Media; Worldwide; 5 Years. Non-Theatrical/Common Carriers & In-Context Promos in All Media; U.S. & Canada; In Perpetuity. Non-Theatrical/Common Carriers & In-Context Promos in All Media; Worldwide; In Perpetuity. Option 4: All forms of Home Video and Personal Video/DVD/EST rights (now known or hereafter devised) regardless of the means of delivery (incl. in-context promos in All Media); Worldwide; In Perpetuity. Option 5: All Media (now known or hereafter devised) via any distribution method or means of transmission for any viewing device excluding theatrical, all audio visual devices and products for personal use, internet (including without limitation whether by streaming, downloading or otherwise), future networking technologies and storage and retrieval devices for use of the composition embodied in the program substantially as a whole & In-Context Promos to All Media; Worldwide; In Perpetuity. Option 6: Internet (whether in streaming, non-permanent downloadable or other formats) including in-context promos in All Media; Worldwide; 1 month (renewable). Option 7: Internet (whether in streaming, non-permanent downloadable or other formats) including in-context promos in All Media; Worldwide; 1 year (renewable). Option 9: EST (Electronic Sell-thru) (incl. in-context promos in All Media); Worldwide; 1 year (renewable). A more specific mobile device license would be, 1) License for the United States, its territories, Canada, 1 year, basic cable / satellite / On-Demand TV and non-downloadable streaming via websites / mobile-wireless devices (including in context promo). Optional provisions would be, 1) Renewal, United States, its territories and possessions, Canada 1 year, renewal of initial term; 2) Mexico, the Caribbean, Central and South America, 2 year(s), Basic Cable, Satellite / On-Demand TV and non-downloadable streaming via websites / mobile-wireless devices; 3) World, 2 year(s), all television media (including non-downloadable streaming and mobile / wireless distribution) now known or devised during the license term. Another example illustrating how copyright owners are integrating mobile phones into licensing agreements is the electronic greeting card area. Typical greeting card “using music” licenses involve the fee, the territory, (the World), the term (multiple years plus a selloff period), a durational limitation (not to exceed 60 seconds), a non-exclusivity clause and a grant of rights clause. New agreements include all physical greeting cards and e-greetings in the grant of rights clause. Further, many licenses now define the term “electronic greeting cards” meaning electronic cards designed to deliver a social expression (e.g., birthday wish, holiday greeting, etc.) to all types and configurations (e.g., sound combined with animation, photography, video, etc.) that are perceived or experienced via an electronic device, and may be delivered to the consumer via electronic transmission (e.g., via the Internet, mobile phone, cable television or other electronic delivery media not yet in existence) or may be delivered on storage media (e.g., random access memory, game cartridge, DVD or CD, or other electronic storage delivery media not yet in existence). As more and more individuals around the world use a mobile device as their main source of communication, information and entertainment, the licensing of music – an integral part of a substantial portion of mobile device use– takes on an ever increasing role. Though many licensed areas have incorporated language and fees relating to the use of music in the mobile world, many major areas are still unresolved. Private negotiations and agreements aside, the resolution of many major licensing issues in this area, including the valuation, the scope and even definition of music rights, seem, at this point in time, destined to be decided by the courts or by legislation.